"Hiring the Art of Birth Doulas to be part of our journey to become parents was such a good decision and something we would strongly recommend to anyone having a baby. We had private in-home childbirth classes with Emily Reid. We were able to learn a lot about the birthing process in a short amount of time and in the comfort of our own home. Learning about the stages of labour and tips for labouring in advance really helped to make the whole experience less scary. Gordana “Dana” Valente was the doula on call the day we were scheduled for a last minute medical induction. Dana’s support that day was exactly what we as new parents needed. She provided advice via text / phone in the early stages of labour. When things progressed, she met us at the hospital when we arrived, and stayed with us until after we had settled into the recovery room with our newborn daughter. She seemed to know exactly what we needed, and provided this support in the most caring way. My husband is not at all good with hospitals so it was particularly helpful that he had someone to lean on throughout the day so that I could focus solely on birthing our baby. A couple weeks after our daughter was born, Dana came to visit, and we discussed the birth. Having a detailed chat about how the birth went with someone who was there for the whole thing was very reassuring. Hiring the Art of Birth was honestly the best money I have ever spent in my life and I really can’t recommend their services enough." "In the age of self-help, there is every mommy manual and baby bible imaginable. Coupled with too much well-meaning advice, I was a pretty frazzled soon-to-be mum. One thing I knew for sure, it was that my pregnancy marked the beginning of a special time in my life ... starting with growing the wee little bean, leading to labour and culminating with my child in my arms. I didn’t know what to expect or what to do but I knew I wanted to honour this time. 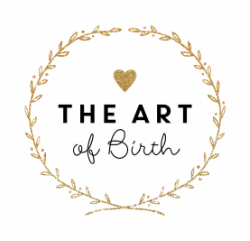 So I sought out The Art of Birth doula services to help me through the many months to come. I’m so glad I did. ​"It was truly amazing to have Amanda as my doula, and so incredibly impactful on the overall energy and mood throughout the entire birth of my son. The calm and collected emotional and physical support while walking me through every step of labor, sans epidural, was invaluable, and wouldn’t have been the same without her. Just knowing I didn’t need to think about anything and could completely focus on working through every contraction made it all so smooth. She knew what I needed even sometimes when I didn’t quite know what to think- whether it was cutting up little bits of peanut butter toast or rubbing my arms and talking me through the worst of the grinding pain. I would work with her again in a heartbeat, and am so thankful to have had her as a part of this world changing experience!" "We couldn't have been happier with our decision to hire Emily as our doula. I was expecting our first baby and wanted a homebirth. Emily met with me and my husband a few times before my due date and we talked about pregnancy, childbirth anxieties and planning for baby's arrival. We also took a one day childbirth class with her that was very informative and helpful. When the big night came, after a few hours on our own, we called Emily to come over. What I remember most about her presence during my labour was her calm demeanor and soft soothing voice. She was supportive of whatever I wanted to do and whatever I needed most in the moment. She was a very gentle and compassionate person to have by my side during labour and delivery. After our son was born, she helped me get cleaned up and brought me food and drink. She was a great addition to the team of midwives as she paid us several more postpartum home visits to help out with breastfeeding. Not only is she a kind and caring person, but also as a childbirth educator she knows a ton about birth and babies! Throughout the whole thing I had lots of questions and they were always met with helpful advice and reassurance. When we have another baby I would love for Emily to be my doula again." "I had the great privilege of having Amanda support me during all three of my birth experiences. The counsel and guidance she gave, both technical and emotional were incredible and made each one of my experiences of childbirth truly enjoyable. My husband and I are eternally grateful for her support and highly recommend her to every expectant mom we know!" "I had an amazing experience with Melissa as our doula! She was extremely helpful during my labour with my son. Melissa responded to my call promptly and came to help at 4am! She brought a very positive vibe and I really appreciated her hands on help and advice for my husband to keep him involved too. She made me feel comfortable, powerful and in control. I would definitely recommend her! All the best with with your experience." ﻿"We were so incredibly grateful to have had Amanda's attentive and nurturing support during the births of our three children. She was incredibly motivating, encouraging and compassionate during labour and delivery, and approached everything with a positive attitude and a great sense of humour. Something that made us feel comfortable and at ease. It is very apparent that she is passionate about the birth experience and we truly feel fortunate that she was a part of ours." good feeling about it, so I convinced him to give it a shot. We couldn't be more happy with our decision. She helped and advocated for me every step of the way through my labor. Without her I wouldn't have been able to stick to the birth plan. She was there to keep me calm and you could sense that she's passionate about childbirth. Can't wait to do it all over again in the future!" ​"My husband and I couldn’t be happier with our decision to have Melissa present at the birth of our son. Being new to the province we have no other family around for support. I was quite nervous as to how my husband would be able to look after our toddler and also be a support to me throughout my labour. So we made the decision to have a home water birth and hire a doula. I contacted Melissa at 430am and she arrived at our home shortly after. Not only was she an amazing coach and support to me but she also coached my husband on how to help as well. She even helped keep our son occupied when my husband was trying to focus on me. We were nervous that our son might be scared at seeing me in pain but she made him feel comfortable and even encouraged him to cheer me on. I can still hear him saying “You can do it mama!” Melissa made me feel in control and helped me concentrate on my breathing, which I truly think made all the difference in my delivery. We aren’t sure if we’ll be adding to our family in the future but if we do I’d feel very lucky to have Melissa at our birth again!"